Follow the Backstage Pass Ainigmata Ostraka clue phrase to the reward hidden within the Theater of Dionysos. 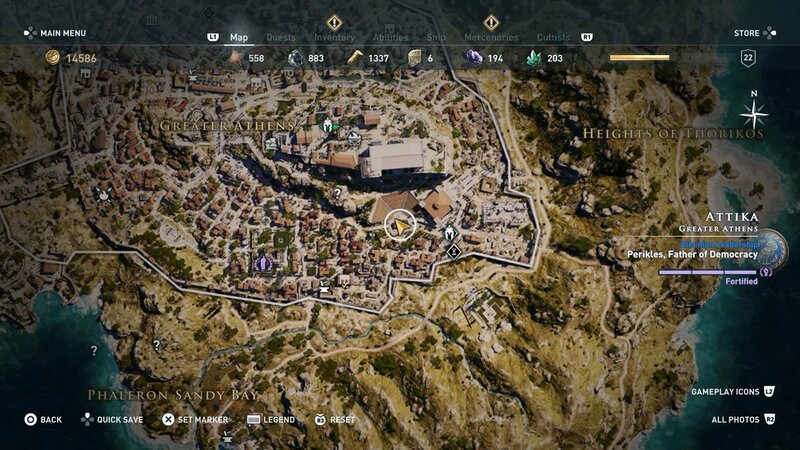 Each Ainigmata Ostraka in Assassin's Creed Odyssey gives players a chance to earn a reward simply for discovering the location being referenced in the tablet's clue phrase. 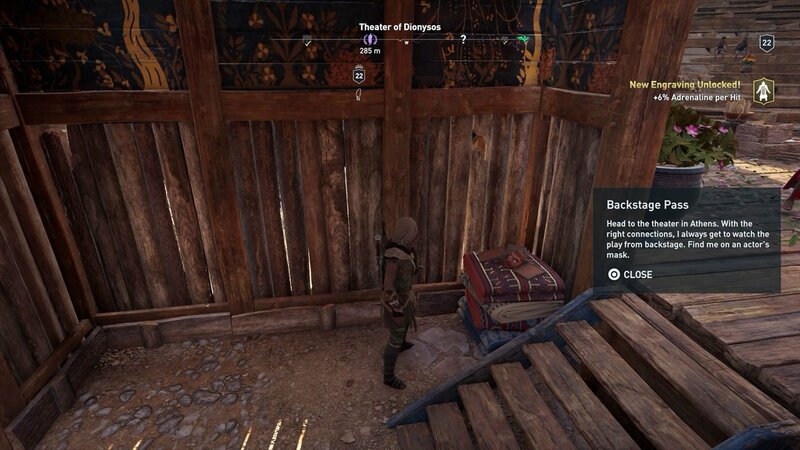 The Backstage Pass treasure hunt is spawned from the tablet found in the Textile Workshop on the southern side of Greater Athens, and points to a reward players can find right within the city. "Head to the theater in Athens. With the right connections, I always get to watch the play from backstage. Find me on an actor's mask." The clue phrase is pointing players toward the Theater of Dionysos, found just up the road in the city of Greater Athens. Approach the theater from the south, and head through the door between the two statues to spot a pile of cloth just to the left of the stage entrance. On top of that pile will be the mask that players are looking for. How that mask managed to stay put for all the days, weeks, or even years between the time the tablet was etched and the time player arrives will likely forever remain an unsolved mystery. Approach the mask and interact with it to claim the Ainigmata Ostraka reward: an engraving that provides an additional 6% Adrenaline for each weapon strike. Backstage Pass might be one of the easier Ainigmata Ostraka treasure hunts featured in the game, but the others aren't quite so clear-cut. 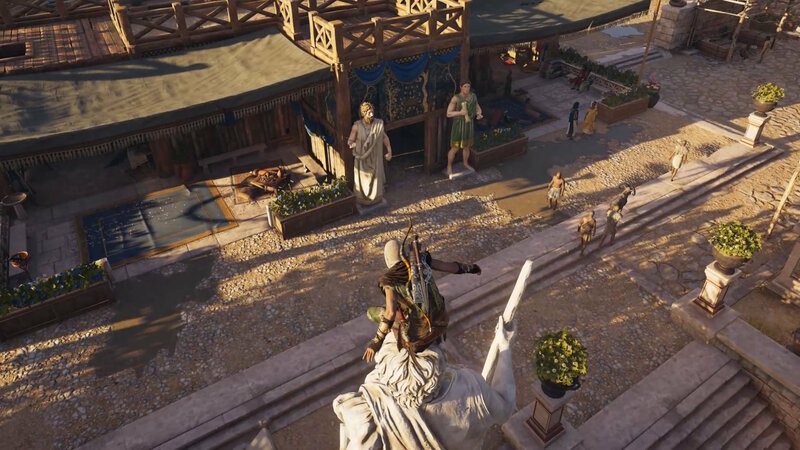 To learn more information about these mini-quests, or to brush up on other game mechanics, tutorials, and trivia, be sure to head over to Shacknews' Assassin's Creed Odyssey walkthrough and guide.